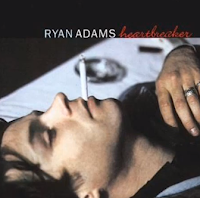 I don't really do followfriday anymore but @gdorean deserves special mention this week for pointing me at Come Pick Me Up by Ryan Adams from the album Heartbreaker. The whole album is a corker, Christ knows how I missed this, but the song is possibly the greatest breakup record ever. Six months ago it would have slayed me. Now I get to have it in reserve for next time and enjoy it for what it is. And what it is is bloody lovely. Enjoy. I find it hilarious that you are so late to this particular party. Indeed I did do a you. By the time you've read this I'll have every thing he's ever done including all the B-Sides just to, y'know, really do a you.